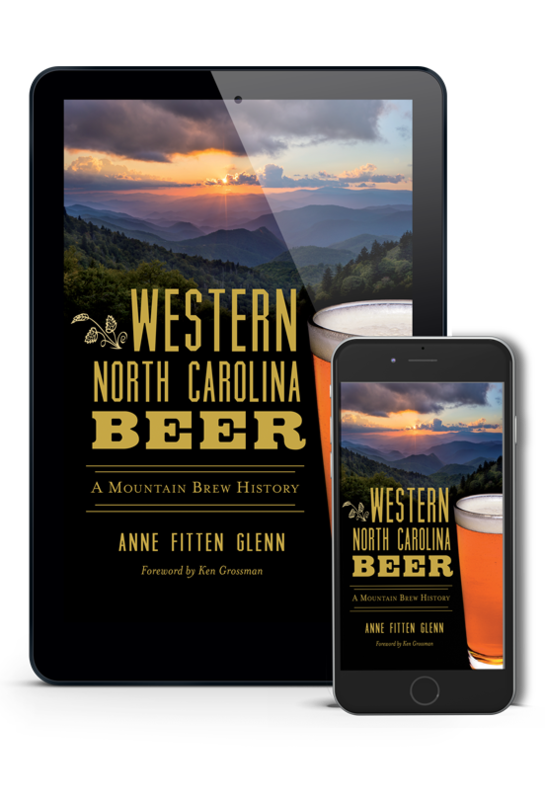 Join award-winning beer writer Anne Fitten Glenn as she narrates the storied history of brewing in Western North Carolina. This is a companion volume to Asheville Beer and includes all new material. 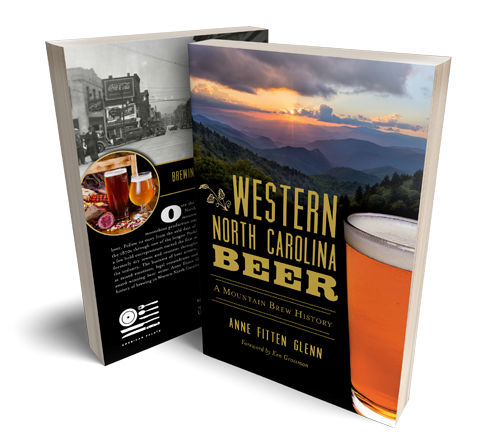 Anne Fitten Glenn is the beer historian of Western North Carolina. She has done in-depth research into that tradition, challenging our beliefs about the past and projecting a flourishing future...Grab a beer, ideally one made in Western North Carolina, and settle in for a story of malt, hops and determination. Over the past two hundred years, Western North Carolina has evolved from a mountainous frontier known for illicit moonshine production into a renowned destination for craft beer. Follow its story from the wild days of saloons and the first breweries of the 1870s through one of the longest Prohibitions in the nation. 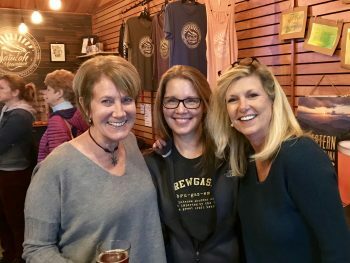 Eventually, a few bold entrepreneurs opened the first modern breweries in Asheville, and formerly dry towns and counties throughout the region started to embrace the industry. The business of beer attracts jobs, tourists and dollars, as well as mixed emotions, legal conundrums, and entrepreneurial challenges. At Boojum Brewing in Waynesville. Open to the public, but also part of Leap Frog Tours Waynesville Brewery Tour! Contact Leap Frog Tours directly if you want to get on the tour! I'll be selling books and Brewgasm T-shirts at this wonderful small beer festival that benefits the Pink Boots Society, representing women in beer. It takes place at Highland Brewing Company in 2019. 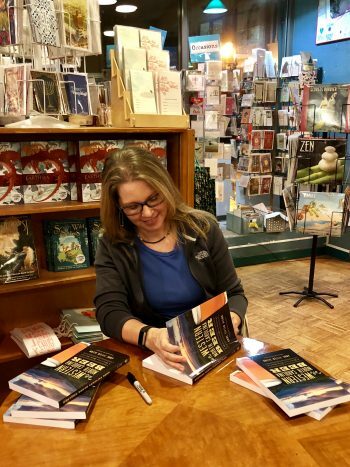 Award-winning author Anne Fitten Glenn has been writing for publication since she was the “Dear Annie”columnist for her fifth grade newspaper. AF (the abbreviation for her family-rooted double first name) moved to Asheville in 1997. After having babies, teaching college, and working with non-profits, she started writing about beer, food, business, and entertainment. For the first decade of the 21st century, AF primarily wrote for local newspapers, including the Sunday “Small Business of the Week” feature for the Asheville Citizen-Times, a weekly parenting column called “Edgy Mama,” and a weekly “Brews News” column (both for Mountain Xpress). AF self-published a horror novel, Storm Mountain, in 2001. 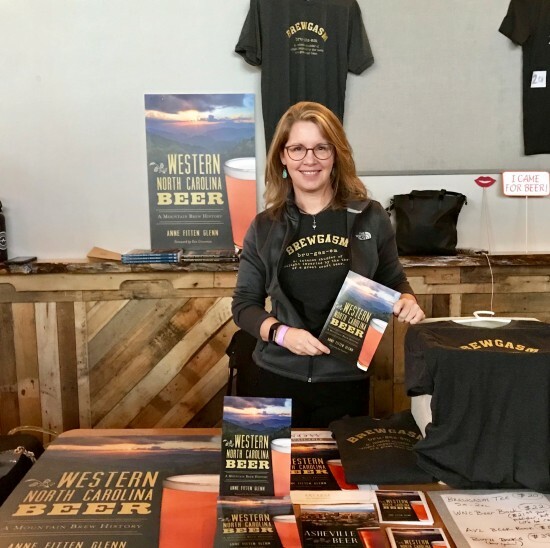 The History Press published her first non-fiction book, Asheville Beer: An Intoxicating History of Mountain Brewing, in 2012. 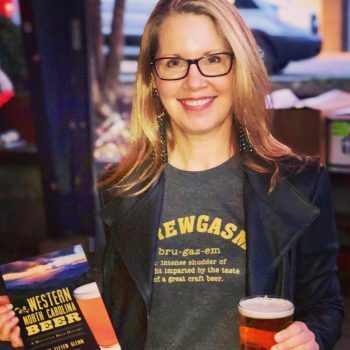 Her second beer book, Western North Carolina Beer: A Mountain Brew History, will be released November 2018. She currently pens the “Mountain Brews” feature for Edible Asheville. AF has written for and had photos published in numerous additional publications, including USA Today, All About Beer, Paste, Smoky Mountain Living, WNC Magazine, Charleston Magazine, Edible Aspen, Explore Asheville, Vanity Fair, Virginian Pilot, and CraftBeer.com. Additionally, she consults to breweries and restaurants in the realms of public relations and communications. Her alter ego, Brewgasm, spends too much time on social media dishing about beer, dogs, bikes, and history. Anne Fitten is as involved in her subject matter as one can be—which isn’t to say she’s deep in her cups. Rather, she has managed to be both on the ground floor and backstage as the brewery scene in North Carolina has exploded. Having worked with Anne Fitten in various capacities in my career, I know that there are few people that can match her knowledge and wit in the arena of brew news. 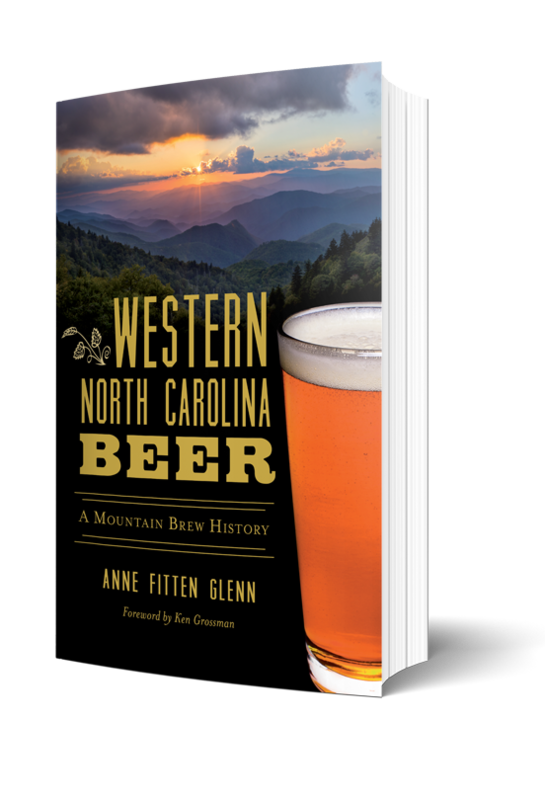 Winston Churchill once said, ‘History will be kind to me for I intend to write it.’ Luckily for the WNC brewing community, we have historian and writer Anne Fitten Glenn to take all of the spirit and toil of our local brewery revolution and pour it into a crushable, but full-bodied, book. By the time you get a grasp on the enormity, complexity, and staggering cultural and economical impact of the craft beer scene in Western North Carolina, it’s already moved two steps ahead of you. It’s a ‘catch me if you can’ industry in these parts, with Anne Fitten Glenn seemingly the only one who can—and does—keep up. The story of Western North Carolina's brew scene is a rich and colorful tale that needs to be told. 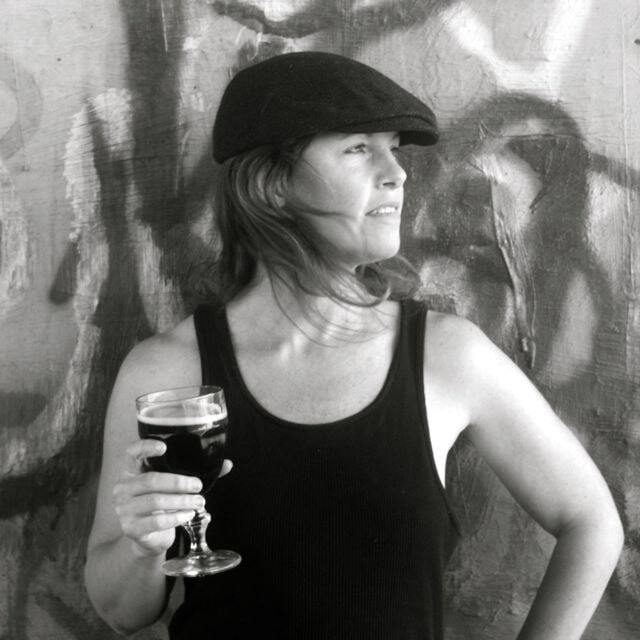 Anne Fitten Glenn has lots of experience writing about beer and breweries. 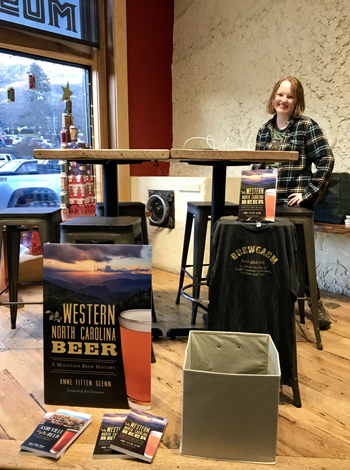 Her engaging new book tells how Western North Carolina became such a key place for craft beer.